Is your Sage 50 Payroll Secure? With the amount of personal information that is housed in Sage 50 Payroll, how secure do you think it should be? 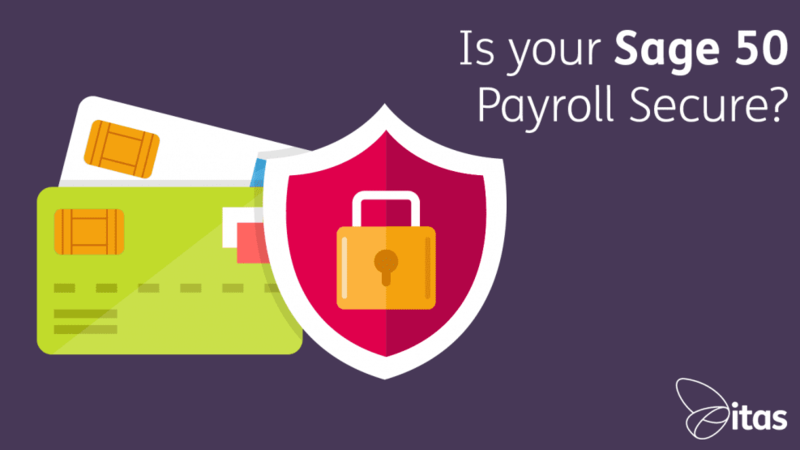 Would you consider your payroll secure? Due to how sensitive this information is, it is possible to secure the data so that only users, specified by you, can gain access. You can also restrict the users to certain areas of the software to make your employee data even more secure. Firstly we have the program password. This password would need to be entered before seeing the company selection, and before the user would enter their password. If there was no previous password please leave the ‘old password’ box empty. Each new user that has been set up has the option to set a user-specific password at the point of entry. The user selected will be the user you are logged in as. This will bring up a window to amend the logon name and password of the user. From here select ‘OK’ and make sure the access rights screen gets saved!! ** Please note that the Manager users Logon name cannot be amended. From within Sage Payroll, the main user/ or any user that has access to the access rights function can amend the areas that each user has access to. You can select each user on the left-hand side of the screen and can customize the access to modules/ functions that the user has within each area, using the ‘Allow Access To These Areas:’ on the right-hand side, by simply selecting or deselecting the tick boxes. 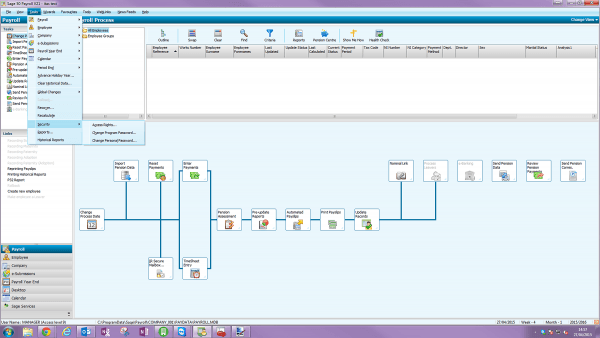 You can also amend which employee’s each user can access by setting an access level on each user and on each employee. This access level can be for a user to access a specific access level or all levels up to a specific access level. Another example of how to restrict which employees a user can access is by selecting or deselecting the payment periods of the employee’s. *Please note that any new users set up will have an automatic access level of 0, however, any new employee’s set up as a Director their access level goes to automatically to 9 so these new users will not have access to them unless amendments are made. **Please also note that no restrictions can be made for the manager’s user apart from suppressing messaging and changing passwords. Remember if you would like any more information please do not hesitate to contact us directly for some more Sage Hints and Tips. Home » Sage Blog » All Sage Blog Posts » Is your Sage 50 Payroll Secure?